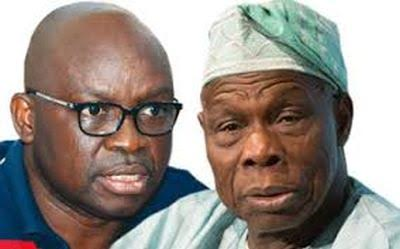 In a recent interview with The Sun, Ekiti state governor, Ayo Fayose, says 79 year old former President, Olusegun Obasanjo, runs his mouth just to remain relevant in the political scene. "Do you ever take Obasanjo seriously? I don’t take him seriously. By his nature, Obasanjo wants relevance at all times. We have worked with him and used to be his foot soldiers. I know him more than anybody in this country. He just talks, so that he would remain relevant. Do you see any other former President in the country running his mouth like his? If it is not the fact that he has a voice as a former head of state, where is Obasanjo’s constituency? Who are his followers? How many votes can Obasanjo win in his ward? We must say the truth and we must face the truth. Let’s give it to him, as a leader in this country, whoever has governed this country before would remain our leader, but he must equally recall and admit that he is becoming more fairly negative than working towards national building"he said.